-including a number of colouring and lettering credits, and also including three series that ran in the Megazine originally published elsewhere. But not including his work from Deadline. D'Israeli didn't create Dirty Frank, but he's made a massive mark on the character. It’s always hard to gauge how people are perceived when all you have to go on are reader’s letters and the handful of people who regularly post on internet forums. But in my estimation, D’Israeli has gone from someone once thought of a highly stylized, slightly off-the-wall artist who did indie comics and the odd bit of work for 2000 AD to something of a legend with a string of hits to his name, and the pick of whatever he wants to do. I guess the change happened somewhere around the time he started alternating Stickleback with Low Life, his two longest-running series to date. Bolstered by two absolutely stunning covers for those two series. 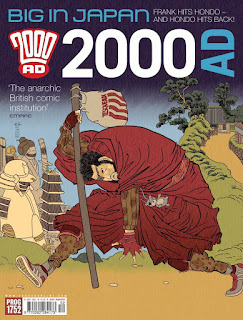 It’s hard to remember now, perhaps, but not many years before that he’d produced one of 2000 AD’s more controversial covers. Pretty much a solid comics professional by this point, his underlying style was already established. And I get the idea that it’s not one liked by everybody. It is on the cartoony end of what 2000 AD tends to produce, and it’s definitely much more European than American (probably one reason why I like it!). 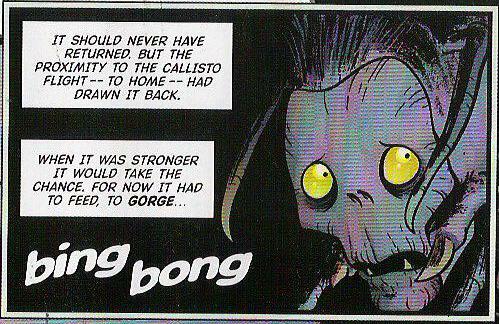 And maybe because Tharg couldn’t be sure how it would go down with readers, poor D’Israeli had to rely on a couple of coincidences before he got a proper foothold in 2000AD. It may not have come through in the description above, but Lazarus Churchyard is mostly a comedy. Then, very shortly after that run finished, Scarlet Traces secured a berth in the Megazine. Less than a year later D’Israeli had all new material commissioned, seeing Leviathan in the Prog, and XTNCT in the Meg almost at the same time. He’d climbed the first few rungs of the fan-favourite ladder. Not to mention showing that a blocky, cartoony style doesn’t preclude an ability to convey gritty action, pure horror or creepy weirdness. Bad things are afoot on board the Leviathan. 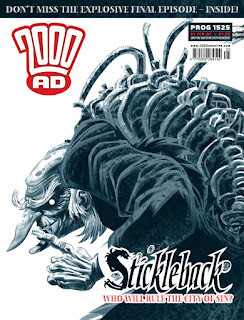 Stickleback to some extent was in the same vein, story-wise, but right from the start readers were grabbed by the change in art. 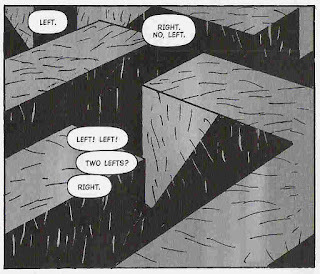 I’ve no idea what D’Israeli is doing differently on a technical level with this series (I believe he works digitally on everything – maybe the underlying drawing is the same? ), but damned it doesn’t match the mood. I think it's a lot to do with not drawing any outlines. It’s also noteworthy to me that his art here can look so different while the style and design for the figures remains inherently the same as ever. 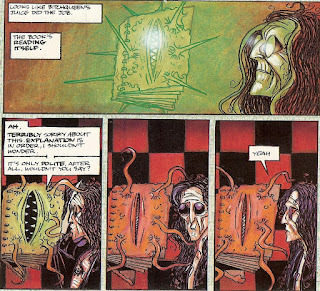 And, yes, cementing his status as the new king of Victorian/Edwardian-era SF comics (deposing Bryan Talbot, I guess?). Masterful technique. Still utterly recognisable style. With that invention on display, he climbed yet more rungs on the ladder. But for my money he reached the top when Rob Williams nabbed him to work on Low Life: Creation. Yet more artistic invention, and it didn’t hurt that it was in service to an incredibly clever story. It also didn’t hurt that D’Israeli’s style is a perfect match for the character of Dirty Frank (while, curiously, it’s also not especially suited to Aimee Nixon). Subsequent Low Life outings pushed the same boundaries of character and city design, and have been some of the most fun strips ever run in the comic, if you ask me. The same collaboration also yielded Ordinary, another delight but with a very different tone. What a clever way to show two people standing in the rain. D’Is does great Mega City 1. He’d actually shown this earlier in a handful of Judge Dredds. 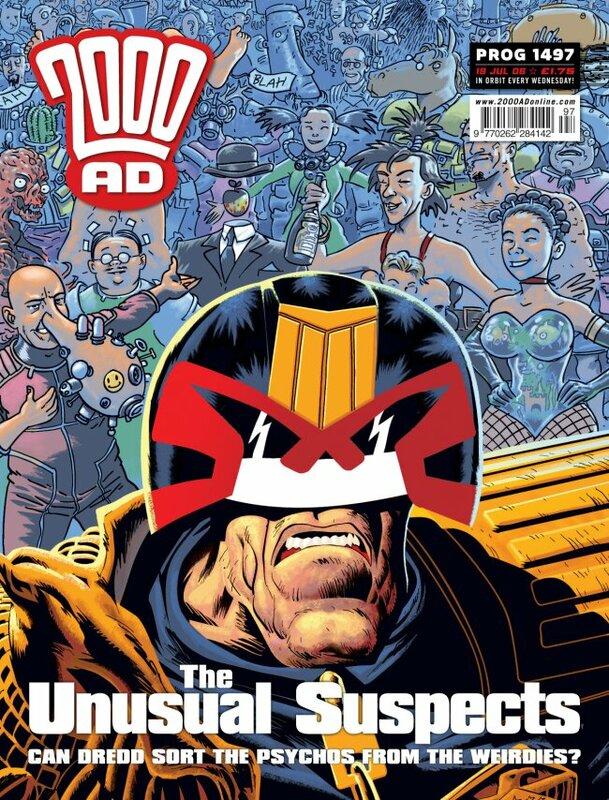 He’s one of those artists who really brings out the feel of the city and the citizens that often end up being the best part of any given Dredd story. I’ve got a real soft spot for his version of Nosferatu, an occasional recurring vampire-esque monster. How to feel sorry for a vampire spider. 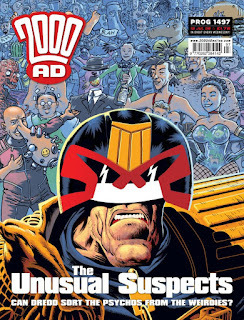 And here’s a bit of fun he had mixing Dredd with time travel. Homaging Ezquerra, McMahon and, finally McMahon doing Ezquerra. D'Israeli's distinctive style was used to good effect to hide the true identity of a character in one-off scary planet story The Vort. In some ways, thes tyle was so different from what had gone before that I found the story somewhat jarring, but there's the usual lovely monster design along the way, and some very vibrant orange, red and pink hues to lend the world of the Vort its own personality. The Vort is out to get you. Alongside his character designs and innovation, one aspect that always sticks out for me is D’Israeli’s willingness to draw big, complicated, magnificent architecture. The cityscape of Mega City One, for sure. Leviathan in all its glory, not to mention its engine rooms. Depicting the entire city of Luna-1 rising from the ground, ready to journey into space. I like to imagine him raising an eyebrow when he reads scripts with these kinds of panel descriptions, than rubbing hands with glee as he gets to work drawing them up. It’s too soon to start using superlatives, but so far his latest thrill, Helium, plays to all the man’s strengths. Period (sort of) setting. Designing new cities, fashions and machines. Characters whose faces say one thing and imply another. And some good old-fashioned thumping, too. A woman in Tintin's trousers pastes one on a man with Tintin's hair. Fun times. It’s been something of a slow road to the top for D’Israeli, but here’s hoping he stays there for a good long time. Low Life: everything he’s done on this series, but Creation and Saudade were especial peaks. but it's delightful how definitively D'Israeli it is. *I think Steves Dillon and Parkhouse have achieved this feat as well, and of course Bob Byrne and Cat Sullivan. Anyone else?